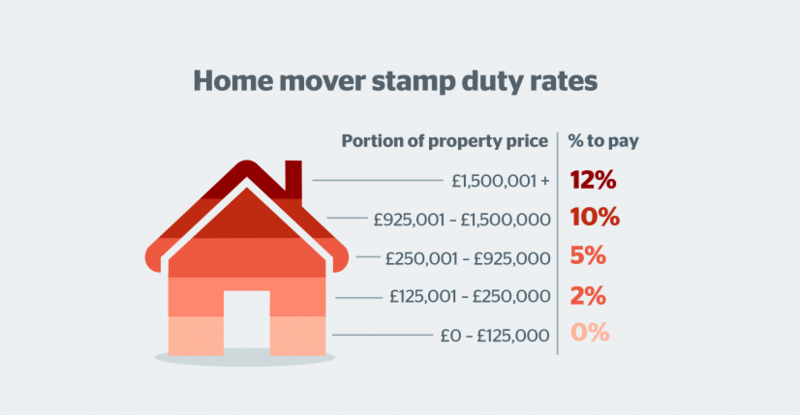 Stamp duty calculator and rates - Which? Our stamp duty calculator shows how much tax you'll pay when you buy a home. Stamp duty is a tax that you have to pay when buying property in England or Northern Ireland. Buying elsewhere in the UK? Check out our guides on Scottish stamp duty (LBTT) and Welsh stamp duty (LTT). Stamp duty is tiered, meaning that you pay different rates on different portions of the property price. You'll also pay different rates depending on whether you're a first-time buyer, home mover or buying a buy-to-let, second or holiday home. House buyers in England and Northern Ireland have 14 days from the 'effective date' of the transaction to pay their stamp duty bill - this is usually the date of completion. If you fail to do this on time, there's an automatic £100 fine. If you're buying your first home for less than £300,000, you won't have to pay any stamp duty at all. First-time buyers purchasing properties for between £300,000 and £500,000, meanwhile, won't have to pay stamp duty on the first £300,000. Stamp duty of 5% will be charged on the amount between £300,000 and £500,000. First-timers buying homes for more than £500,000 will have to pay stamp duty at the standard rates. 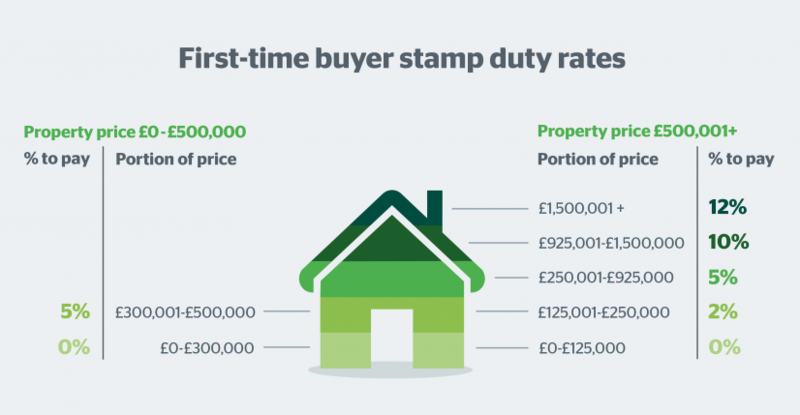 The rules mean that first-time buyers could save up to £5,000 on their stamp duty bills. The table below explains how much you'll save based on the price of your property. Can I use the first-time buyer stamp duty relief for buy-to-let? The first-time buyer stamp duty exemption only applies if you're planning to use the property as your main residence. If you're buying a buy-to-let property as a first-time buyer you will be charged home mover stamp duty rates. To qualify for the first-time buyer stamp duty relief, you must never have owned a residential property before. Owning residential property means holding an interest in a dwelling, whether freehold or leasehold. Do I qualify for stamp duty relief if I don't currently own a home? The criteria requires first-time buyers to have never owned residential property before. If you've ever owned a property - even if you then sold it and are now renting - you won't qualify for the relief. You also won't qualify if you own or have previously owned a buy-to-let residential property. Do I qualify for stamp duty relief if I previously owned a home outside England or Northern Ireland? If you've ever owned a residential property anywhere in the world, you won't be considered a first-time buyer. Do I qualify for stamp duty relief if I inherited or was gifted a property? Unfortunately not: the criteria is whether you have owned, not bought, a property before. Do I qualify if I previously owned a share or interest in a property? Under the legislation, anyone who has ever owned an 'interest' in a residential property is excluded from the relief. Shared ownership schemes, or buying together with a family member or partner, would count within this criteria. If you're buying with another person as a joint application, every single purchaser must be a first-time buyer. Otherwise, stamp duty will be payable on the property at the standard rates. 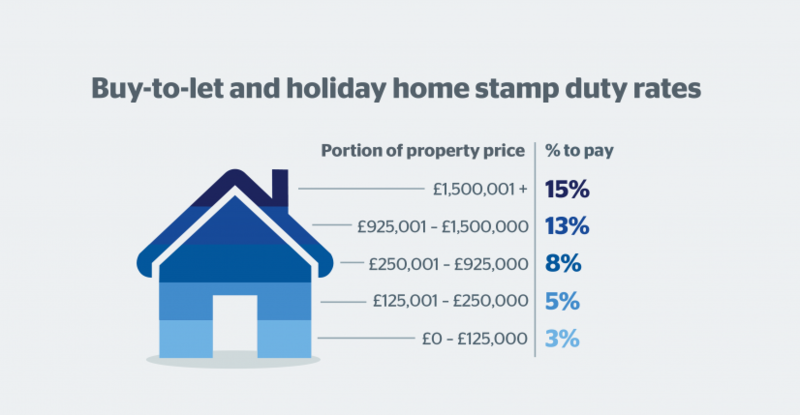 Unless you're a first-time buyer, anyone buying a second home, holiday home or buy-to-let property - ie any property that won't be your primary residence - has to pay an extra 3% on each tier of stamp duty. First-time buyers purchasing buy-to-let property will be subject to standard home mover rates. If you're planning on buying a property and want expert help in finding and applying for the best mortgage for you, fill in the form below for a free call back.